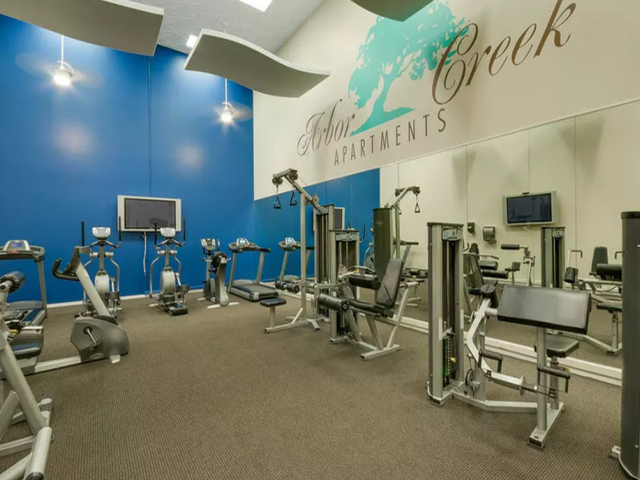 Inside and out, Arbor Creek offers the features and amenities you both need and want. Combined with our peaceful location surrounded by the Tualatin Hills Nature Park, we think you’ll agree that Arbor Creek offers the ideal setting for Beaverton apartment seekers. Arbor Creek offers newly remodeled apartments in Beaverton near Washington Square Mall. Upgrades include designer cabinetry and countertops, as well as energy efficient appliances. Many of our homes include optional amenities such as vaulted ceilings, washers and dryers, and built-in microwaves. When seeking one and two bedroom apartments in Beaverton, you’ll appreciate the small details we’ve included to make your home the perfect retreat from the stresses of the outside world. Ditch the gym membership and workout in our fitness center. Take your furry friends to socialize and exercise at our on-site dog park. Have fun at the community playground or feast on delicious dinners prepared in the community BBQ area.